Recently the ingredients of my beauty products have become more important to me. If I'm going to smother myself daily from head to toe I want to ensure that I'm doing the best for my bump. More importantly however I want them to work well and feel luxurious. Love Boo is a recent discovery that I wanted to pass on to you. Made in the UK with the help of experienced chemists and natural yet powerful ingredients, Love Boo has a fantastic range of products for mothers-to-be, mothers, bumps and babies. For me, like many pregnant women, stretch marks are something I am desperate to avoid. 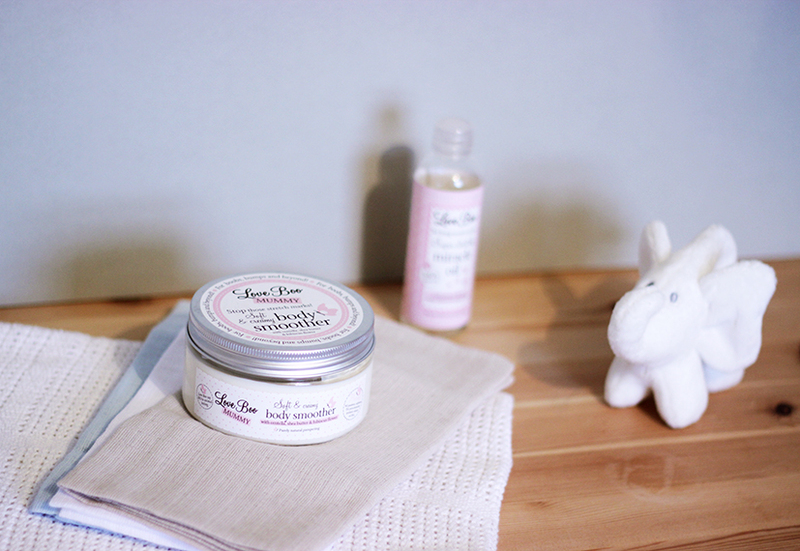 I have been enjoying a couple of little miracles from the range and they are fabulous! 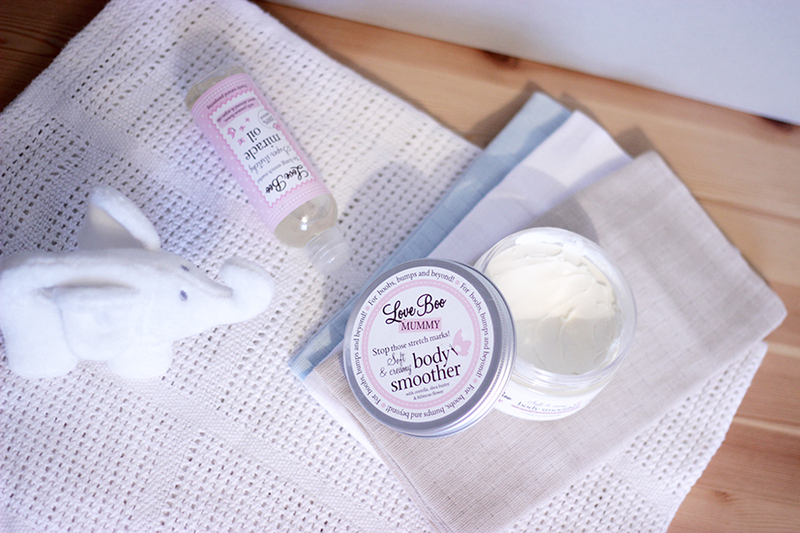 Firstly the Love Boo Soft & Creamy Body Smoother is rich, non-greasy and soaks in beautifully. It's jam packed with Sheer Butter (high in vitamins A & E), Hibiscus (improves elasticity & moisture levels) and Centella (reduces stretch marks, wrinkles & visible lines). I keep it in the bathroom and cover myself after a bath or shower as it smells incredible. Using on damp skin also causes the butter to absorb quickly and hydrate skin all day. I even use it on dryer areas such as heels and knees. The other go-to from Love Boo is their 100% natural Super Stretchy Miracle Oil. This luxurious oil firms, moisturises and nourishes skin whilst leaving it soft and smelling divine. The oil is a blend of argan, almond, passionflower and mandarin oils which may be why it smells good enough to eat! The oil helps to fade any scars and uneven skin tone as well as preventing further stretch marks. Check out Love Boo's beautiful website for their full range of products as well as tips and reviews and shop my favourites below.